For a grill or aluminium tray. Combine the lime juice, oil, salt and pepper, add the tomatoes and all the other ingredients up to and including the cinnamon, mix. 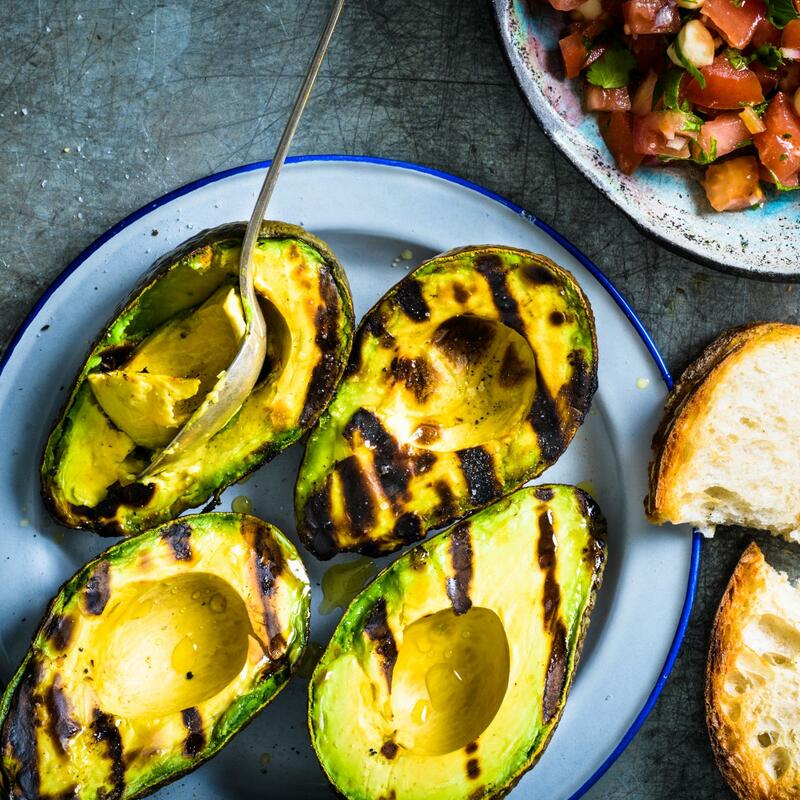 Brush the avocado with oil, place in the grill tray. Cover and grill the avocado over/on a medium heat (approx. 200°C) for approx. 4 mins. on each side. Sprinkle with fleur de sel, serve with the salsa.